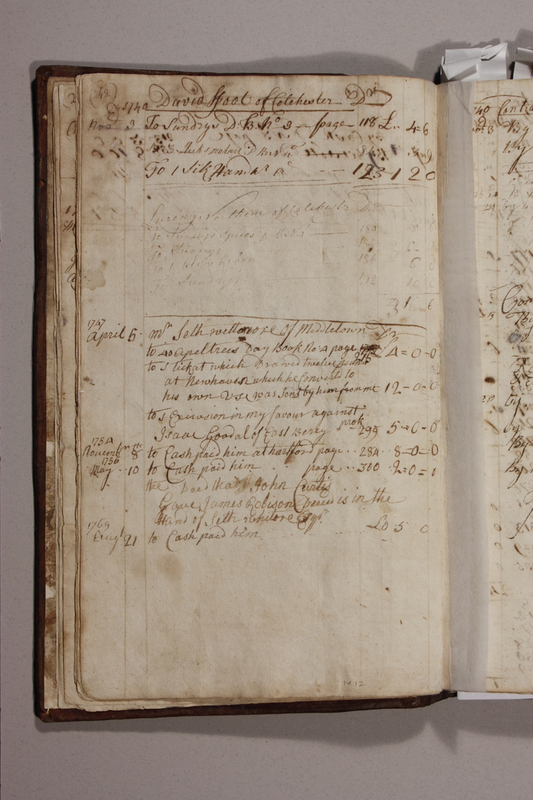 In this activity students examine a sampler of pages from the account book of James Stewart’s general store located in Colchester, Connecticut, 1740. How do we trade goods and services? How do we get things we need to live? What resources were available in Colchester? How was colonial life different/similar to life now? How does Colchester contribute to Connecticut’s story? 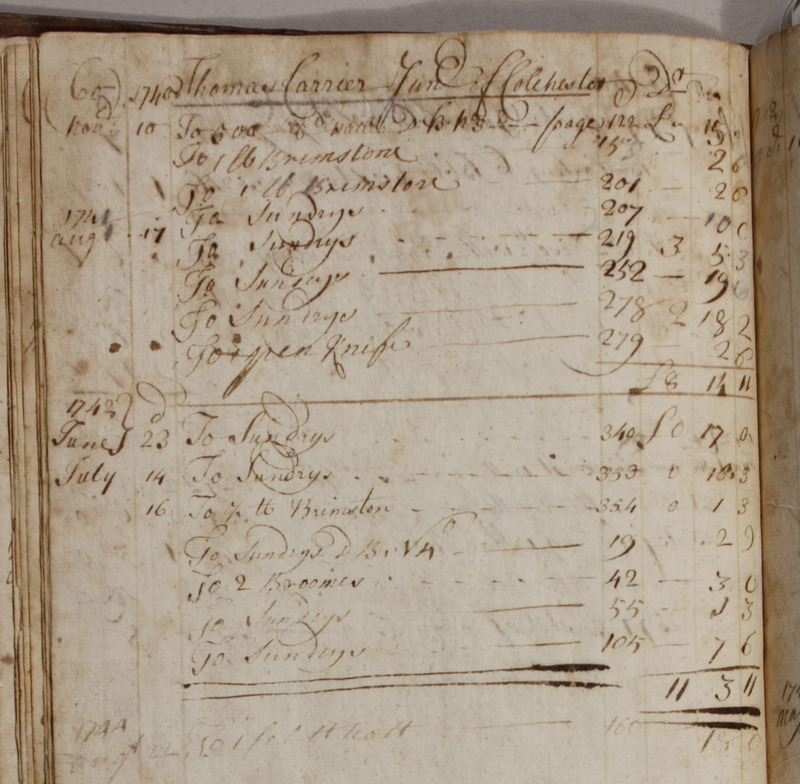 Ledger page 42, dated 1740, Account of “David Foot of Colchester”, also “Seth Wetmore of Middletown.” Items entered on ledger page include; “Sundrys”, “Silk Hanky”, and “Cash paid him at Hartford page” – Colchester Historical Society. 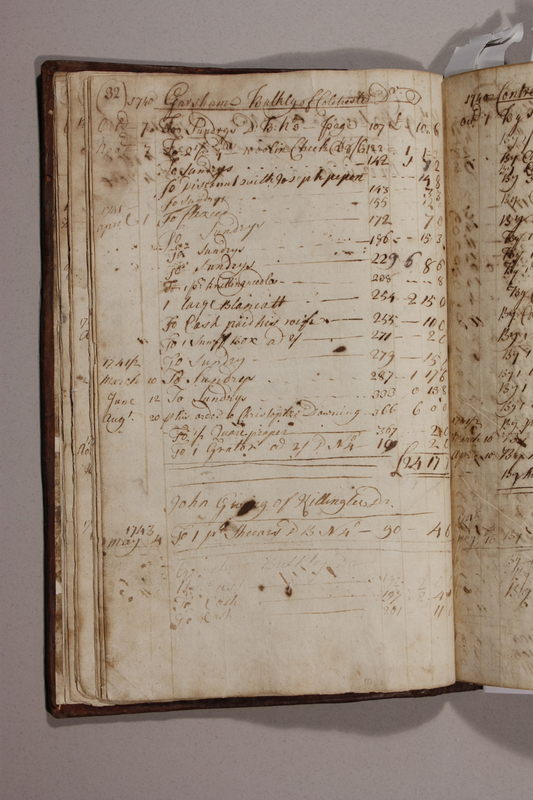 Ledger page 31, dated 1740. Account of “Freedom Chamberlain of Colchester” indicating the purchase of “brimstone”, “knitting needles”, “beaver hat”, “broom”, “2 knives & forks” and “22 apple trees” – Colchester Historical Society. Using close-reading of the documents, have students generate a list of items one would purchase at James Stewart’s general store. Have the list shared among the students as each page contains different items. How did people get to the general store? What is the difference between these lists and their family shopping list? What kind of currency are they using? Determine the differences between the credit and barter accounts. Ask students to give modern-day examples of credit and bartering in daily life. Where in their school do they make decisions like this? Have a class simulation where students are given different “commodities” to trade or barter. Have four students sit out and each of these students represent a town commodity, such as, beaver hats, jack knives, sewing silk, or cotton handkerchiefs. One person can be the store owner. What would they trade or barter to get these new products? How would the store owner acquire new products? View a piece of Connecticut currency from 1776 online. The National Museum of American History has a Connecticut note worth 2 shillings 6 Pence. 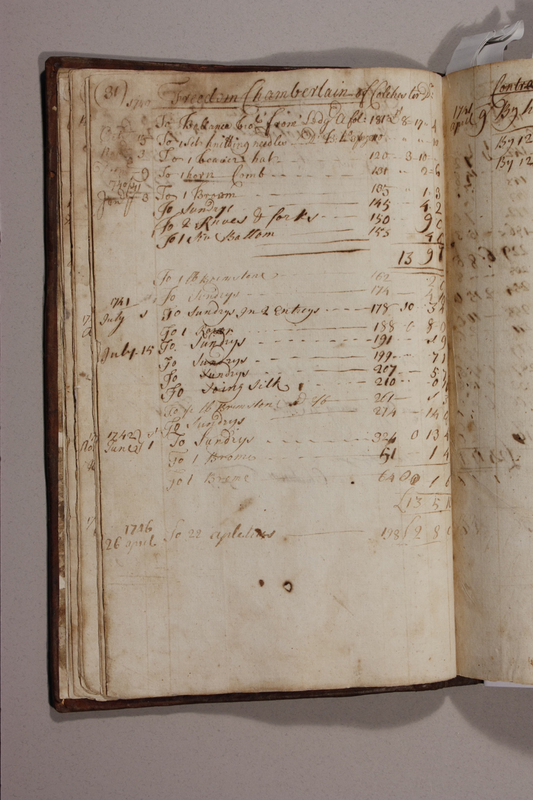 Gershom Bulkeley detail, from the account book of James Stewart’s general store. Caleb Pendelton detail, from the account book of James Stewart’s general store. 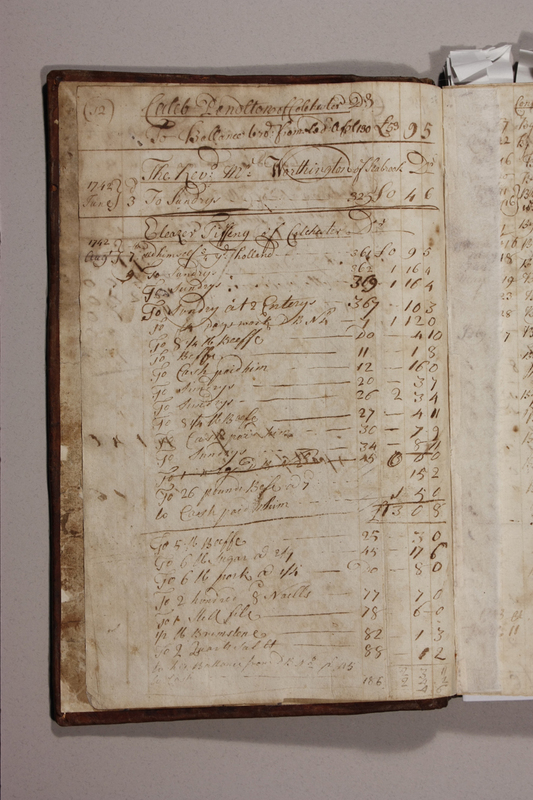 Thomas Carrier detail, from the account book of James Stewart’s general store. 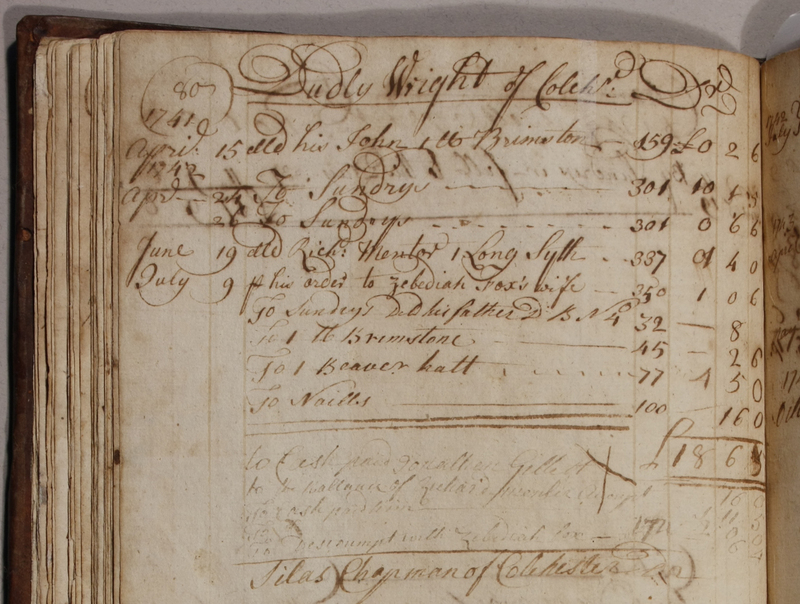 Dudley Wright detail, from the account book of James Stewart’s general store.